As we approach the one year anniversary of Minuteman Indivisible's founding, we're amazed at what we've accomplished together and enthused about what we can do next. This week's MI Happenings section features two exciting upcoming events - a fundraiser for Mikie Sherrill this Thursday with special guest Maura Healey and our birthday celebration next week - and highlights the many activities our members have been involved in over the past week including meeting with Congresswoman Katherine Clark! 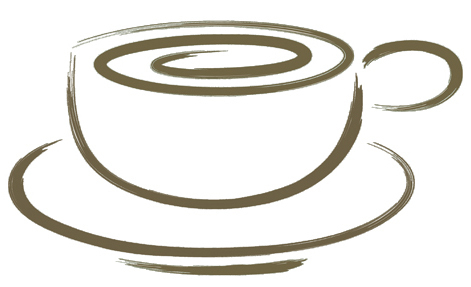 Next week's deadlines for funding the federal government and reporting certain bills out of committee in Massachusetts create a sense of urgency for many of the items in the Morning Coffee Action section. 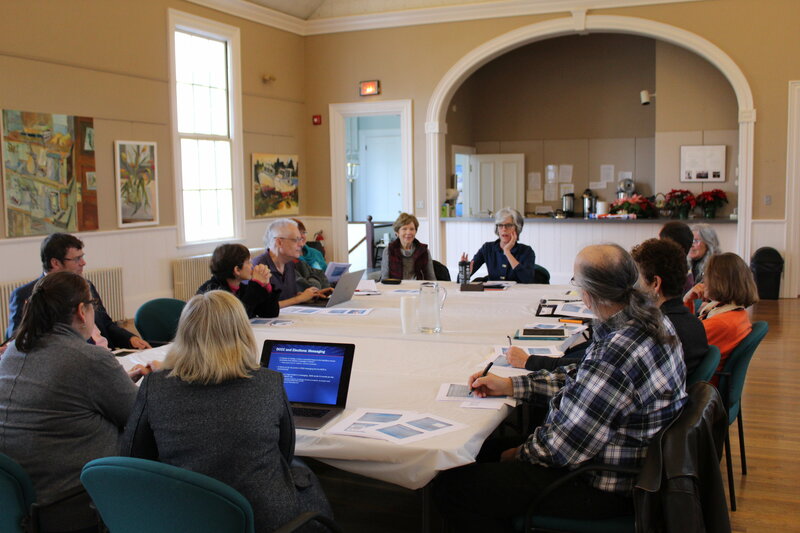 This week's Spotlight section outlines the goals and plans that the Minuteman Indivisible Board has been developing and tries to address questions you might have about who the board is and what it does. Don't forget to check out the Upcoming Events sections and see the Recommended Reading section for a variety of timely articles from our amazing partners on the National Indivisible team. Even though Secretary of State William Galvin now supports Election Day Registration (EDR), he doesn’t support Automatic Voter Registration (AVR), which would be far more effective at registering everybody who is eligible to vote. 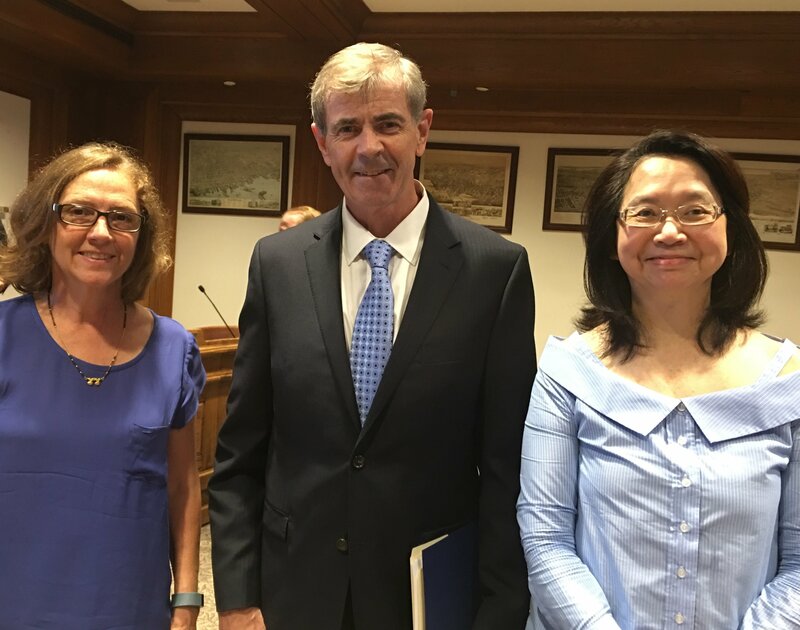 Give Secretary of State Galvin a call at 617-727-7030 and tell him that you support AVR and want him to support it too. 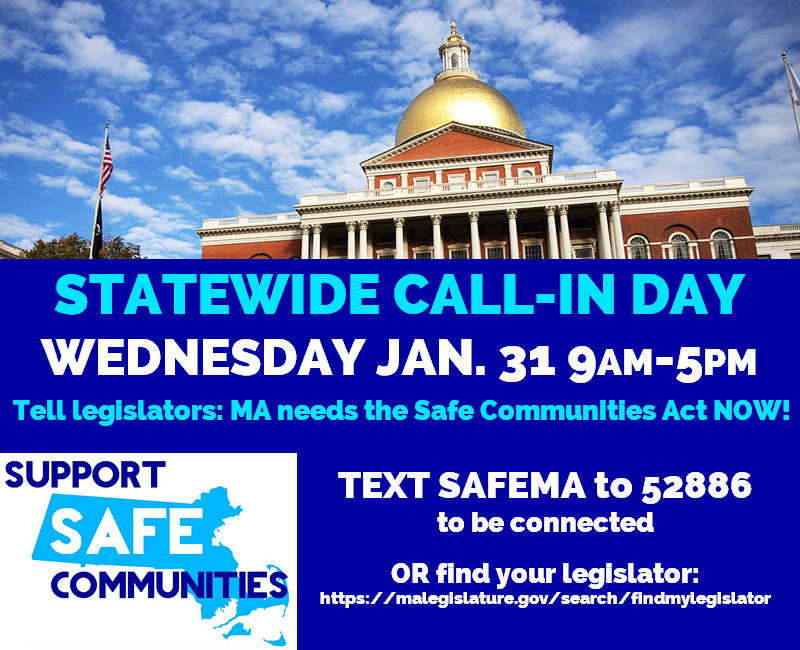 The Safe Communities Act is the strongest action Massachusetts can take right now to push back against Trump's toxic, xenophobic deportation machine. Rep. Jay Kaufman, Sen. Cindy Friedman, and Sen. Mike Barrett are all cosponsors of this bill; call them on Wednesday, January 31, to thank them, and ask them to do everything in their power to move this bill out of committee by the February 7 deadline! If you have different state legislators, check these links for the Senate and House bills (S.1305, H.3269) to see if your legislators have signed on as co-sponsors ("petitioners") and this link to get their phone numbers. Here is a suggested script: "The Safe Communities Act protects the civil rights, safety and well-being of all residents, and it is essential that this legislation be reported favorably out of committee. As your constituent, I urge you to speak with the Chairmen of the Joint Committee on Public Safety and Homeland Security to assist in moving this legislation forward. It is time to do what is best for Massachusetts' communities." 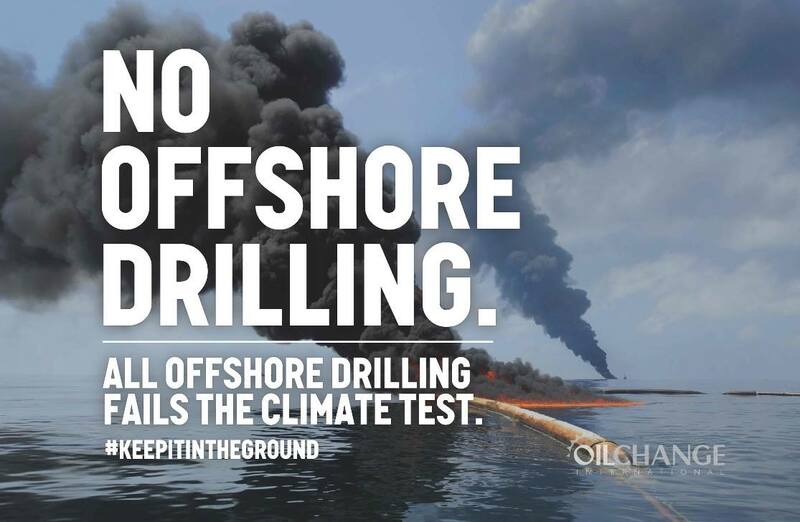 Governor Baker needs to stand up for Massachusetts and strongly oppose Trump's latest offshore oil drilling plan, which would be potentially devastating to fisheries, marine wildlife and environment and tourism. And it's not good enough for him to say he’s previously expressed opposition. All 11 MA MoCs recently requested that Baker stand up and join other Republican and Democratic governors in opposition and we agree. Call Gov. Baker at (617) 725-4005 and tell him that he needs to publicly stand up and do everything he can to oppose this dangerous proposal. We need to do everything we can to protect the integrity of Mueller’s investigation. The Senate must pass bipartisan legislation (the Special Counsel Integrity Act, S. 1741, and the Special Counsel Independence Protection Act, S. 1735) that would make sure Mueller is able to carry out his investigation without presidential obstruction. Please call Senator Warren and Senator Markey and say "The American people deserve to know the truth about Russia’s interference in the 2016 election. 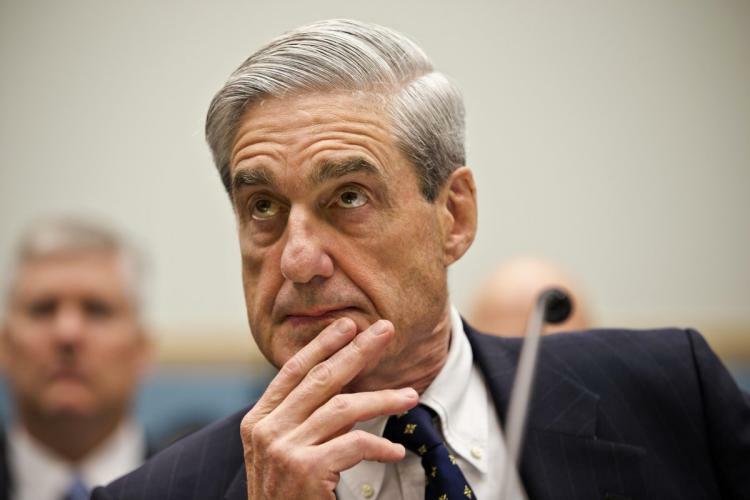 Please co-sponsor S. 1735 and S. 1741, the bipartisan legislation that would help prevent President Trump from firing Special Counsel Robert Mueller and interfering with his investigation." Earlier this month, a bipartisan group of Senators proposed a deal that would fund the government and protect Dreamers, but Trump and the GOP leadership rejected it, leading to the #TrumpShutdown. Congress then passed a continuing resolution (CR) that keeps the government running until February 8th and funds the Children’s Health Insurance Program (CHIP) for six years, but does not deal with DACA. Massachusetts MoCs have been Dream Heroes - fighting for a bill to fund the government that protects Dreamers AND provides long-term funding for CHIP (the entire MA delegation voted against the CR on Jan. 19th; on the 22nd, two congressman - Lynch (CD8) and Keating (CD9) voted in favor). Please call or email your MoCs to let them know they have your support if they voted against these CRs and ask them to continue to fight for the Dreamers. Just yesterday, the news broke that Rodney Frelinghuysen, the incumbent in NJ-11, is the 33rd House Republican to declare that he is not running for re-election in November. 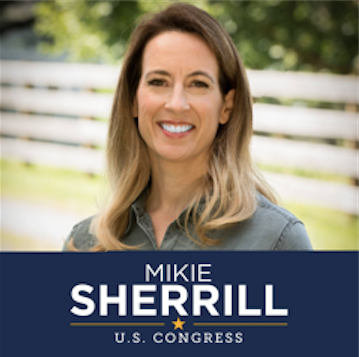 This amazing development is most likely owed to the pressure he's been feeling in his district - pressure that our Elections Team has been turning on strong with our opposition research in support of Mikie Sherrill, a Democratic congressional candidate in New Jersey's 11th district. Needless to say, we're thrilled, and we're looking forward to celebrating the news with Mikie this week. There are still a few seats left at this Thursday's special breakfast fundraiser for Mikie which will be held at the Inn at Hastings Park, 8:30-10:30 am on February 1. She will be joined by guest speaker Massachusetts Attorney General Maura Healey. Mikie is running a winnable campaign, and the Elections Team is enthusiastic about supporting her. 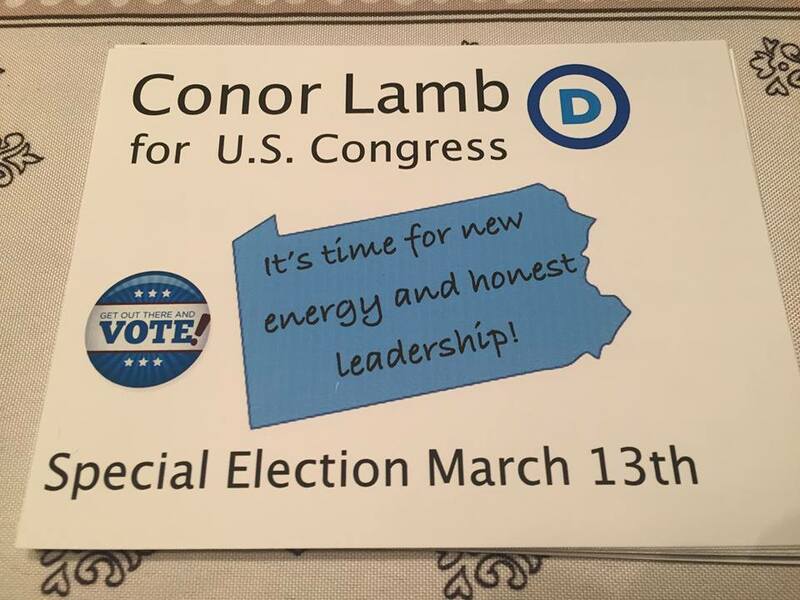 Fundraisers are so important to candidates at this stage in the race, and a bump in the dollar amount raised this week will send a clear message to the GOP that this district is ready to go blue! Don't miss this amazing chance to spend time with Mikie and Maura! Use this link to register. Back in February 2017, this organization came to life, and we've been growing ever since. 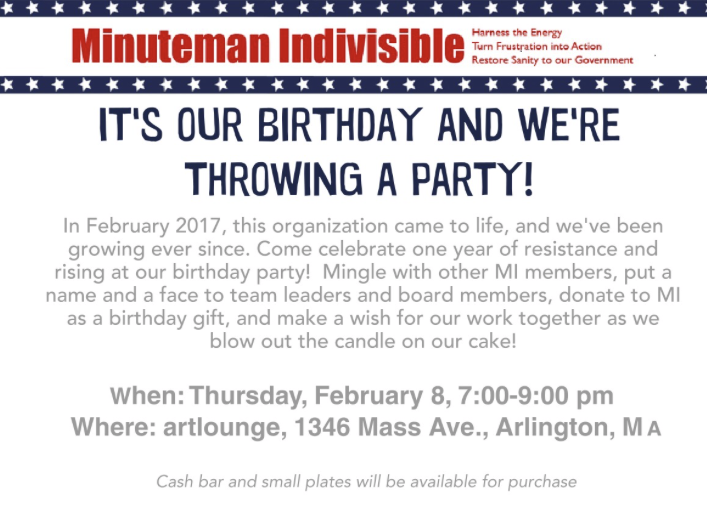 Come celebrate one year of resistance and rising at our birthday party next week on Thursday, February 8, 7:00-9:00 pm at artlounge in Arlington Heights. Mingle with other MI members, put a name and a face to team leaders and board members, donate to MI as a birthday gift, and make a wish for our work together as we blow out the candle on our cake! Drinks and small plates will be available for purchase. Look for a personal invitation coming to your email box. Last Wednesday, members of Minuteman Indivisible's Board and Elections Team had a lively and informative meeting with Congresswoman Katherine Clark and her staff. We explained the work Minuteman Indivisible is doing and discussed the upcoming 2018 mid-term elections. We hope there will be an opportunity for Rep. Clark to speak to our entire membership at a future date..
Last Saturday, seven Minuteman Indivisible members joined representatives from Indivisible Acton and Indivisible Mystic Valley at a focus group to help the Resistance School, a project developed by students at Harvard University, improve the online training that it offers for progressive activists. 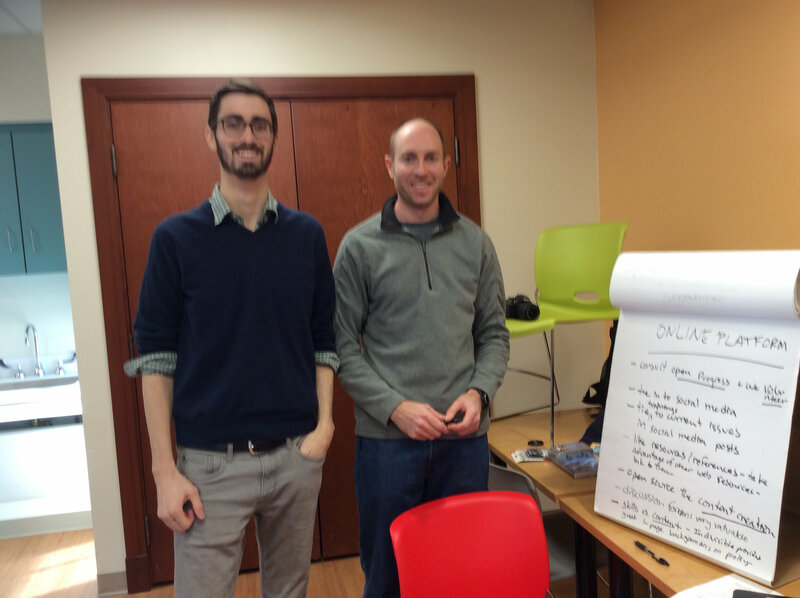 Conor Hand and Matt McDole, who are students in the Masters in Public Policy program at Harvard's John F. Kennedy School of Government, ran the interesting and engaging session which was held at the Lexington Community Center. 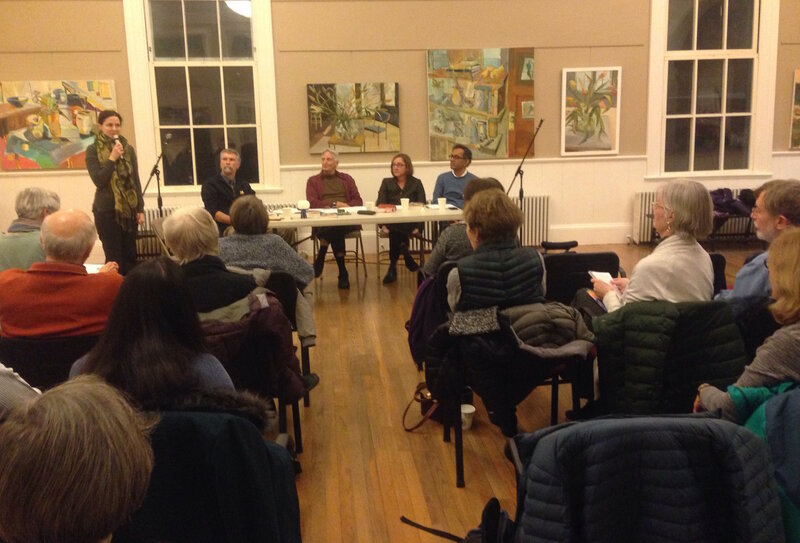 Last Thursday, Minuteman Indivisible participated in the second in a series of discussions on Daring Democracy, a timely new book about the many ways that people and groups are standing up to preserve and reinvigorate our democracy. 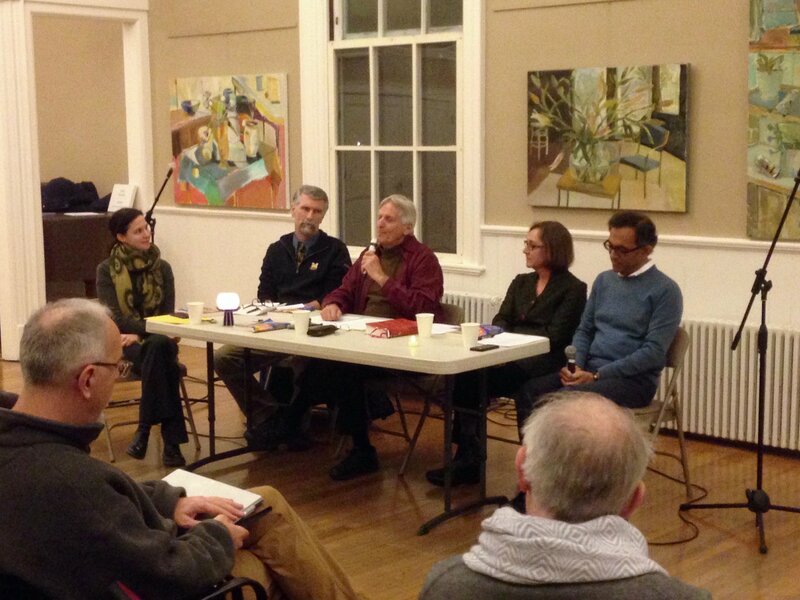 First Parish Church in Lexington convened an interfaith panel of lay people to share how their faith traditions inform their actions to protect and advance democracy. Who is the Board and What Do They Do? The Minuteman Indivisible Board currently consists of 11 people, identified in the "Get Involved" section at the end of this Muster, who fulfill one or more of these roles: President, Secretary, Treasurer, National & State Liaison, Programs, Communications, Technology, Membership, and a representative for each team (Climate, Democracy, Elections, Healthcare, Weekday Warriors; and Book Club). The board, which meets every other week to discuss strategy, events, teams, communication and more, provides the infrastructure that our teams rely on and facilitates the communication needed to make the organization run smoothly, efficiently, and effectively in a united, indivisible way. Define a new board structure to sustain our growing organization and clarify roles and responsibilities for each board position. We expanded the size of the board and prepared a document that defines each role and its responsibilities. Improve new member outreach. We developed new member signup forms and recruited a Membership chair who will help new members become better acquainted with MI. Improve inter-team communication and knowledge. Given that we are Indivisible, we want to avoid silos. To help achieve this goal, we added team representatives to the board to foster communication among teams and created teams such as the Weekday Warriors and Book Club that span our existing interest areas. Improve communication across the entire organization. We began holding quarterly membership meetings, providing cross-team social events, and “spotlighting” teams in the Muster so that non-team members can better understand what each of our teams is doing. Explore partnerships in the region and state. 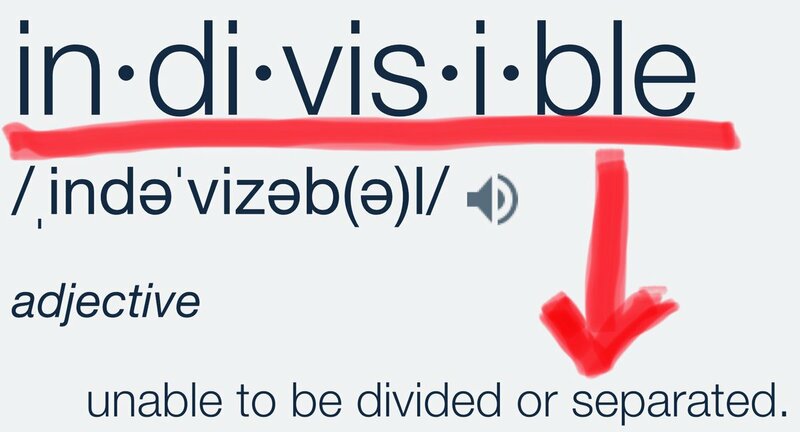 We helped organize two conferences for Indivisible groups in Massachusetts and are actively involved in building Indivisible MA, a new state-wide network of Indivisible and other progressive groups. Refine our mission statement and identify metrics that can be used to determine if we are meeting our goals. Survey our members to learn what they think the organization is doing right and where we can improve. Please fill out the survey when it arrives in your Inbox. Reach out to new members to learn their interests and help them get involved. Improve our fundraising efforts. We run on a shoestring budget, but we still have some costs to hold events and keep the website and other technology running. Update and improve our website. Move towards monthly board meetings that focus more on strategy and problem solving and less on status updates. Minuteman Indivisible exists to help give people a voice in the democratic process – to support things that we agree with and to resist those that we disagree with. During India’s freedom movement, Gandhi told the Indian people they must “never let them rest,” referring to the British. He urged them to keep protesting daily and weekly, in a variety of ways. Our role as a board is to make it easy for members to keep showing up, protesting daily or weekly, never letting the forces that we oppose rest. Huzzah! Please join us to celebrate our birthday! Minuteman Indivisible held its first meeting in February 2017 and we've been growing ever since. Check your email inbox for a special party invitation with more details. Join us to discuss This Fight is Our Fight by Elizabeth Warren. RSVP or let us know you'd like to join us for a future meeting using this link. New members welcome!